This topic contains 18 replies, has 6 voices, and was last updated by Lbwebb08 3 years, 3 months ago. I swear, any guy I have had romantic feelings to has either been a Capricorn or had a HEAVY influence of Capricorn planets/nodes in his chart. 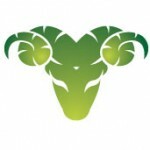 I am beginning to think it is becuase my North Node is in the sign of Capricorn. Anyone else have similar experiences? Capricorns aren’t exactly known to be Aries’ perfect match, so it is odd hahaha. This is my exact issue… They are all exactly the same..
all I can say is never..ever again..
why never again? I’m “in like” with a Cap & I’m an Aries…curious…what I might be in store for based on both of your reactions? Good Luck to you all & your Relationships! OMG so interesting. I thought it was a phenomenon that just occured with me. I started calling it my universe’s joke that my husband will be capricorn, So i better learn to deal with it while I can. It’s usually who they are that attract me. Filling in my weaknesses with promising strength, loyal, and fiery. Usually they will put up just enough resistentance to keep me interested… like dangling a carrot in front of a deer to make it walk. Be careful with this group. Long, sticky, confused breakup cycles can develop… But man when you have him…You’ll always want him. Do you think Aries loves drama?